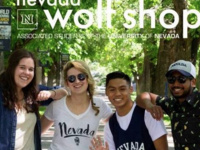 Nevada Faculty and Staff are invited to a Direct Access and Course Materials Workshop and Open House at the Nevada Wolf Shop on November 15. Learn how to increase student success in your classes and make course materials more affordable. In addition, our staff will be present to support you with any course material needs.